What are the pros/cons of working freelance? Pros: freedom to work when I want to - commensurate with clients’ requirements of course! Cons: accounts and office admin! Do you have to be up to the minute with new technology and the latest software? “Yes” to new technology and “Not necessarily” to latest software - if you are comfortable with whatever software you are using, and if it still earns you a comfortable living, why change it?! I think we are all under tremendous pressure to upgrade software; often unnecessarily. Do advances in computing power and software make the job of a designer easier, more fun, more creative? Lots of computer memory obviously helps to speed things up and assist if you’re on a “creative roll”. I would hope that my creativity is still as good as it was 15 years ago when my first PC had a measly 20Mb hard drive and precious little RAM. More fun? I have had so much fun since the advent of computerised typesetting, page layout and design work that it would be hard to envisage a situation where I could ever have more fun. I am in the fortunate position that my work is like a paid hobby! Who are your usual clients? I work mostly for a world-renowned hairdressing salon supply company in Northern Ireland and the USA, who keep me busy much of the time. I add to that with jobs from local clients. What type of local work do you do? I’m currently engaged on the Dart Music Festival programmes together with the T-shirts and posters. 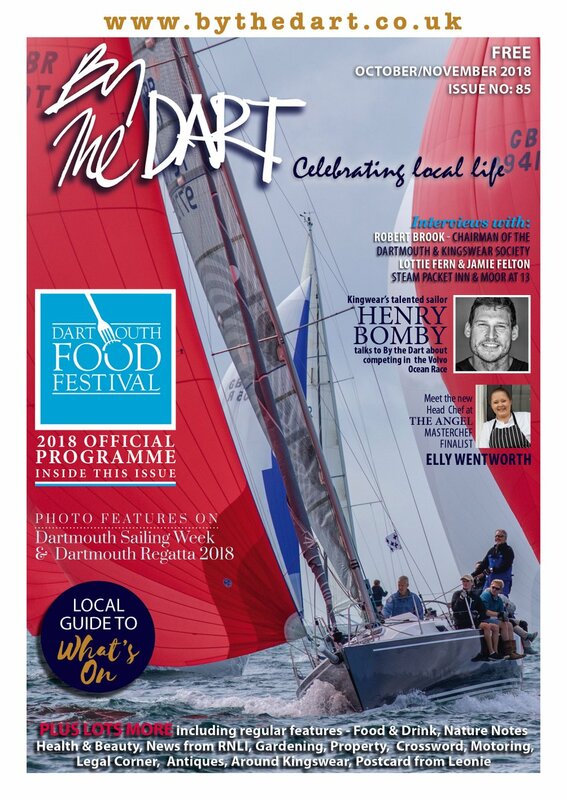 Royal Dart Yacht Club advertising and display work. Ads, leaflets, brchures for local companies – varies considerably. 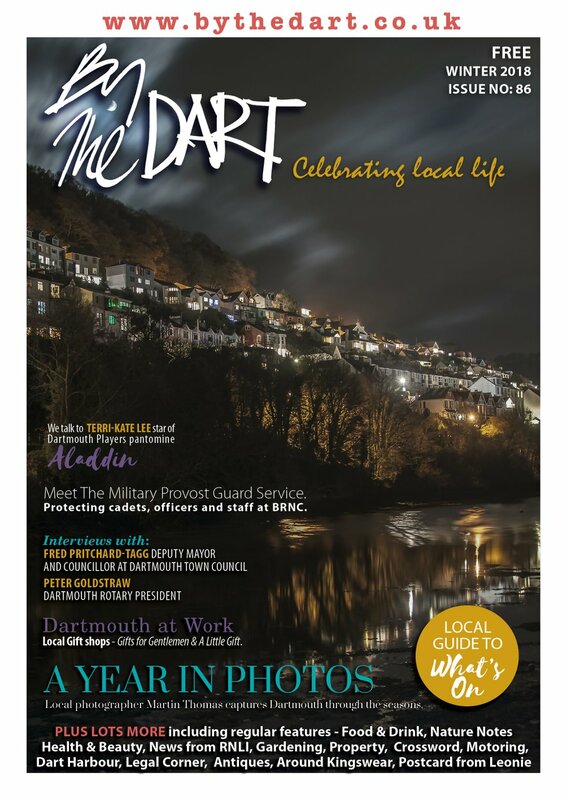 I was recently lucky enough to do the initial design/layout work on the “By The Dart” magazine. What type of work do you most enjoy? Page-layout and typographical work. Image editing. I love it all......oh, possibly with the exception of marriage orders-of-service leaflets! What tips do you have for local businesses etc how to use design in their promotion, brochures etc? Employ a professional designer, who uses professional design/layout software and who knows printing. Keep it simple – I still see promotional work that is so crammed full of type that the whole object of the exercise is completely defeated! 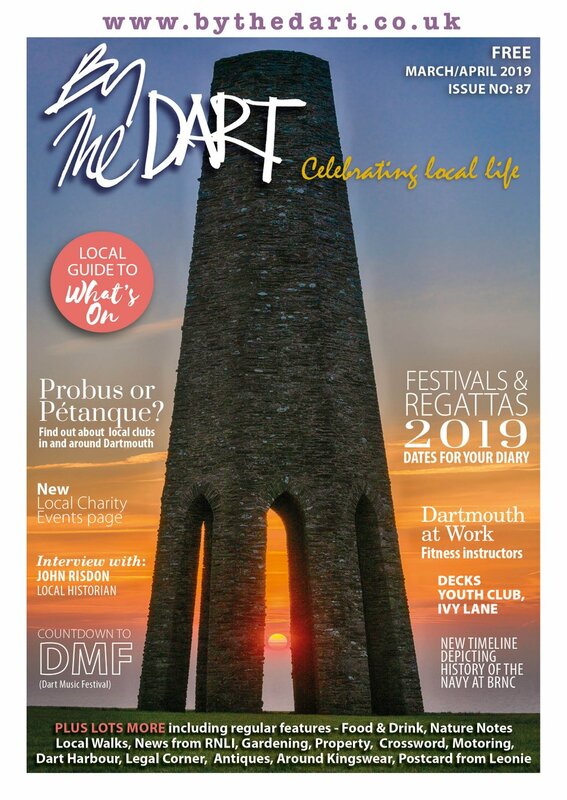 What’s your connection to Dartmouth? My brother and sister-in-law moved here in 1988. I spent occasional weekends down here, fell for the place, and then moved to Kingswear with my father in 1998 shortly after I had become a freelancer. What do you like most about working here? and the least? It’s just a wonderful place to be - I’d never had a boat before! I miss the London and the home counties’ jazz scene. What do you do when not working? Freelance jazz guitarist. Listen to music of all types. Enjoy the local social scene!